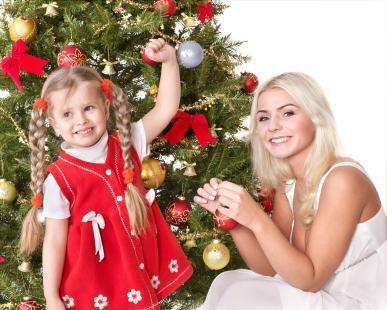 Kids' event activities for Christmas can create special family memories. There are opportunities in many locations for Christmas-themed events that are educational or simply enjoyable. For spending quality time with your kids during the holidays, kids' events are the perfect opportunity. Kids' event activities for Christmas can also provide opportunities for older children to be independent from you for a while, allowing you to help Santa with the Christmas shopping. In many communities, there are Christmas events for affordable prices, and even for free, that can help your kids get into the holiday spirit. Check your county's recreational department activities list. Many counties list local children's activities offered by affiliate organizations listed on their Website or in a newsletter. Look for special holiday activities at museums. Your local zoo may also have special events for the Christmas Season. Read the newspaper, church bulletin, and the Website of local organizations to find kids' holiday activities. Look for any free events sponsored by local businesses and organizations. Sometimes a business will sponsor free activities to encourage business in the community. Christmas parties: Your child's school and any extracurricular activities, such as dance class, often host Christmas parties. Church Christmas Pageants: Does your child want to be in the church's Christmas pageant? Pageants can teach kids about the religious meaning of Christmas because they are essentially a Bible story coming to life. Kids also have fun wearing costumes and acting with their friends. Nutcracker Ballet Performances: Whether your child dances or simply loves watching dance, a Nutcracker Ballet performance is a perfect event to take her to. In fact, in many communities, local kids participate in the performance. Pops Concerts for Kids: The local symphony often has a Pops concert series for kids, especially around the holidays. If your child plays an instrument or likes all types of music, a Pops concert can be fun. Visits to Santa Claus: Take your children to visit Santa Claus and give him their Christmas lists. Sitting on Santa's lap is an event you want to get a picture of. Christmas caroling: Look for a local group going Christmas caroling or put together a group of carolers in your own neighborhood. It can be fun to find an excuse to sing favorite Christmas carols and teach your kids the words. Make homemade Christmas ornaments: Use a kit or make up your own from items around the house. Bake Christmas cookies: Try a new Christmas cookie recipe together or teach your child how to make your favorite family cookie recipe. Create a family Christmas play: Family skits can be fun for older kids to make up on their own and perform for the adults. You can also make up one together as a family and invite Grandma over to watch the play. Do Christmas crafts: Ornaments are not the only homemade Christmas crafts your kids can enjoy. Make other Christmas decorations and crafts to make the house festive. Classic construction paper chains, gift bow Christmas trees or toothpick reindeers are always fun. During this special time, make sure not to work too hard, and to make extra time to spend with your little ones. Doing Christmas activities together can create special memories they will cherish forever.